On our big trip back to visit family and friends in England last year, one of the things that excited my daughters more than anything else was that the buses had an upstairs. They couldn’t believe that they were able to climb those steep, narrow apples and pears (that’s stairs to you non-Cockney rhyming slang people) to sit atop and survey the streets below. So I’m pretty sure this wonderful playbus will be top of the girls’ wish-list this Christmas. 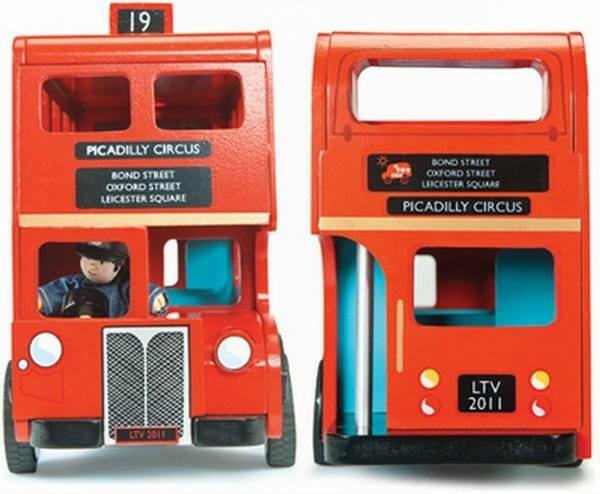 This is the London bus by British company Le Toy Van, a gorgeous replica of the iconic red double-deckers that trundle around the UK capital. Made from wood with rubber wheels, this looks a high-quality durable toy. I love the authentic touches on this – the number 19, the place names and, of course, the gorgeous, vibrant red. The roof is removable, as is the whole top deck, so passengers can be arranged for a sight-seeing trip to wherever your child’s imagination takes them. All aboard and hold tight! 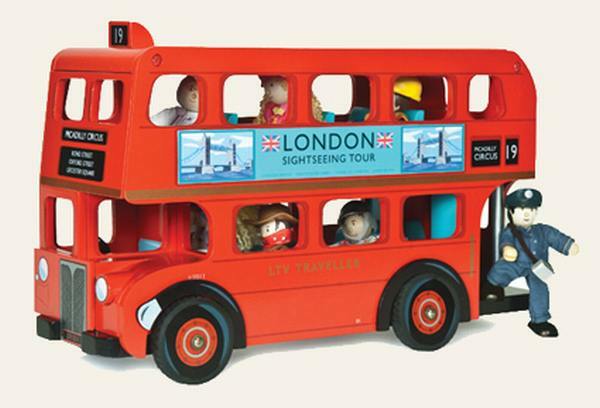 The London Bus comes with a Budkin driver, although if you want passengers they are sold separately. 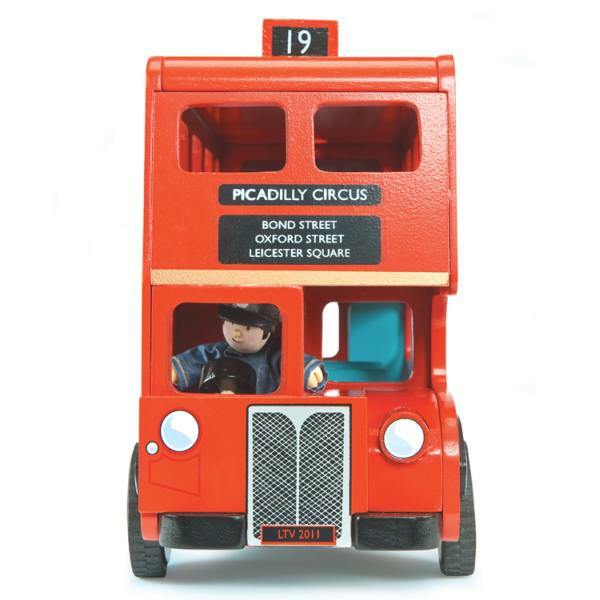 Each bus costs $79.95, available from Quirky Kids online. And if London isn’t your scene, how about these other transport options we’ve covered before on Babyology – the Melbourne tram or Sydney ferry.